The first Classroom-based research for professional development EVO was held in January-February 2016 under the leadership of Kenan Dikilitas and Asli Saglam. The second and third EVOs, in January-February 2017 and 2018, were coordinated by Richard Smith, with Paula Rebolledo also in a leading role. Here are our moderators for this year. Kenan Dikilitas: Kenan Dikilitas is an Assistant Professor at Bahçeşehir University, Istanbul. His academic and research interests include language teacher education and professional development through research engagement. He has published his work in books and international journals. His recent book publications include Developing Teacher autonomy through Action Research co-authored with C.Griffiths (2017) and Developing insights into teacher research edited with A.Burns, R. Smith, and M.Wyatt, (2017). Prior to his experience in a higher education context, he taught EFL in primary, secondary and high school settings with intensive teaching loads for several years. 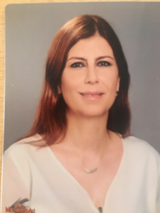 Seden Eraldemir Tuyan: Seden Tuyan worked as a language instructor, syllabus coordinator, staff developer at Çukurova University, the School of Foreign Languages between 1993-2017. She is currently working as a faculty member in the ELT Department at Çağ University, Mersin. Her major interests are classroom management, action research, and personal and professional development. 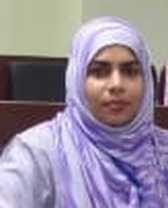 Babita Sharma Chapagain: Babita Sharma Chapagain is working as a freelancer teacher educator from Nepal. She earned her Master’s degree in English Language Teaching (ELT) from Kathmandu University. She has also completed MA in ELT (with specialization in Young Learners) from the University of Warwick, UK as a Hornby Scholar 2014/2015. 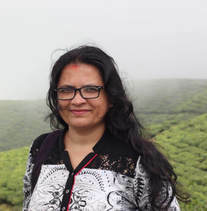 She worked as a teacher as well as teacher educator in Rato Bangala School and Rato Bangala Foundation, Nepal for ten years and mentored teachers from different parts of Nepal. Ruben Mazzei: Ruben Mazzei is a university EFL and literature teacher. 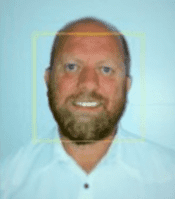 He teaches at primary, secondary and university levels and at Teacher Training College. He coordinates and designs courses for the CPD department for English in the Ministry of Education (Province of Buenos Aires, Argentina). 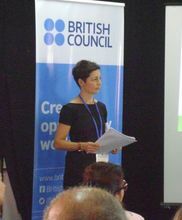 He also facilitates workshops for the British Council. His research interests are genre-based pedagogy, SFL, and EASP. Mariana Serra: Mariana Serra is an Argentinian teacher and a licentiate in English. She holds a diploma in E-learning and distance learning and she is attending an MA Program. For PD purposes, she has studied in the USA and Spain. She was one of the winners of Aptis for Teachers Action Research Awards (British Council) in 2015 and has been selected again in 2016-2017. For over ten years she has worked in universities and secondary schools teaching English as a FL and she has worked as a Head of Department mentoring teachers for several years. Her interests are in Applied Linguistics and Materials Development. Michelle Evans: Michelle, from the UK, has ESOL and EAP teaching experience in the UK and Vietnam and has been working as a research assistant within the Teacher-research for Difficult Circumstances project at the University of Warwick. Lidia Casalini: Teacher of English from Universidad del Museo Social Argentino; MA in TEFL (TESOL) from Universidad Europea del Atlántico, Spain. Specialist in Education and ICT from the Ministry of Education, Argentina. She specializes in online teaching and has delivered local, national, and international workshops for language teachers around the world. Lidia works as a remote teacher of English for the British Council Argentina. She's been a remote teacher for Ceibal and LEP; and is now working within the programmes LES and Language for Resilience Programme. Currently, Final Project Supervisor within the MA TEFL Programme(FUNIBER), and a teacher trainer at the Teacher Training College Bernardo Houssay, Buenos Aires-Argentina. Loreto Aliaga Salas: Loreto is a teaching fellow in TESOL at the School of Education at the University of Leeds. Her PhD explored teacher educators’ cognitions in the context of a curriculum change in a pre-service language teacher education programme in Chile. She is a teacher of English, and has taught at primary, secondary, and at pre- and in-service teacher education in Chile and the UK. She is the co-founder of RICELT, the Chilean network of research in ELT.